NORTON COMMUNITY QUEST - The website of the heritage knights! Norton Community Quest. 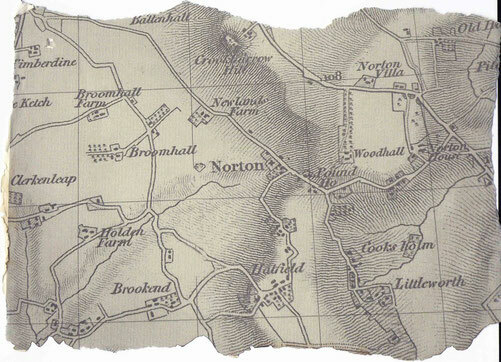 Explore Norton Village. Norton Community Quest. Explore the Brockhill Area. Always work in groups - groups of family and friends. Engage the youngest members of your group, get them involved in the Looking and Finding. You have Heritage Detectives in your midst get them working for you, they will help a lot. Heritage Detectives work with photographs, old and new, maps and view finders. They know about the Information Library and they can make Wonder Cards. We how that they and you will make your won Wonder Cards, we need them to complete the Story of Your Place. Then we can piece together the pieces of the jigsaw and create the Norton Timeline. Everyone can make a Wonder Card. Will you make one of your house? Click on Tools for Heritage Detectives for more information.